Want to visit a 747 boneyard? How many United miles do you have ... ? Visiting a 747 boneyard: How many United miles do you have? Have more United frequent-flier miles than you know what to do with? Are you a big fan of the Boeing 747 jumbo jet? If you answered “yes,” then this United Airlines promotion might be for you. The carrier is auctioning off a chance to travel to an aviation scrapyard for a final toast onboard its last 747, which is awaiting “disassembly” there. United flew its last passenger flight on the 747 in November, retiring the model with a splashy farewell flight from San Francisco to Honolulu. For United’s MileagePlus members who want one last look at the jet – affectionately nicknamed the “Queen of the Skies” in aviation circles – there's now the opportunity to bid for that experience, which includes a trip for two to Memphis from June 1 through June 3. 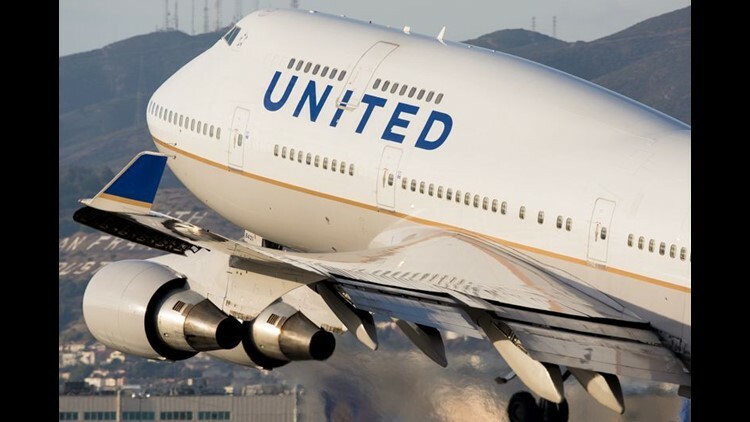 The highlight for most would likely be the June 2 visit to nearby Tupelo, Miss., where United has three of its final Boeing 747s at the Universal Asset Management (UAM) Aircraft Disassembly Center. The visit will include a champagne toast in the first-class cabin of the carrier’s last 747 to fly paying passengers and will be followed by a complementary outdoor dinner under the belly of the plane. The winners also get a tour of the UAM facility. United’s MileagePlus members have until May 24 to bid for one of the five “Dinner with the Queen” packages. Of those five, two are open to bids by all MileagePlus members. Another two will be open only to elite-level members while the fifth is set aside for United’s branded credit card holders. Each package is for two guests. Bads must be entered via United’s MileagePlus Exclusives website, though it won’t come cheap. As of midday Wednesday, the minimum bid for a package was 157,000 United miles. "Through MileagePlus Exclusives, we aim to offer our members access to unique experiences that money can't buy, and there's no better example of that then getting up close with the 747 in a setting not typically experienced by the public," Luc Bondar, United’s MileagePlus chief, said in a statement. "We're thrilled to be able to offer this uniquely United chance of a lifetime to aviation and engineering enthusiasts." A United Airlines Boeing 747-400 in an undated handout photo. A United Airlines Boeing 747 flies over San Francisco in this photo from the 1980s. United Airlines' Olympic-marked Boeing 747-400 in an undated photo. United Airlines' first Boeing 747, a -100 model, during an un-dated photo flight. On board United Airlines' lounge-style upper deck on a Boeing 747-100, circa 1972. A United Airlines Boeing 747-400 sporting the company's post-merger livery with Continental Airlines during an un-dated photo flight. Black and white photograph depicting low aerial view of United Air Lines Boeing 747 on taxiway at San Francisco International Airport (SFO); Terminal Building and Pier C visible in background. A United AIrlines Boeing 747-400 sports the company's Battleship Grey livery during an un-dated photo flight. The Boeing 747 is christened in 1970. Passengers enjoy a lounge aboard the main deck of a United Airlines Boeing 747 in 1970. Flight attendants prepare meals in the lower level galley aboard a United Airlines Boeing 747-100 in 1970. A flight attendants prepares a meal in the lower level galley aboard a United Airlines Boeing 747-100 in 1970. Photo shows rear section of United Airlines Boeing 747 and Condor Air Lines Boeing 747s in background at San Francisco International Airport circa 1992. A United Airlines Boeing 747, aircraft registration number N4703U, is seen at San Francisco International Airport, circa 1977. Stewardesses, as they were called then, prepare meals in the lower level galley aboard a United Airlines Boeing 747-100 in 1970. Passengers enjoy United's then first-class service aboard a Boeing 747-100, circa 1970. The classic spiral staircase, common in the 747 classics, is seen in the top right. On board United Airlines' lounge-style upper deck on a Boeing 747-100, circa 1970. A United AIrlines Boeing 747 Friend Ship ad from 1970. United Air Lines receives its first Boeing 747 in a delivery ceremony on June 30, 1970. United Airlines Boeing 747 at takeoff, San Francisco International Airport, circa 1977. United shows off its flagship lounge services, contrasting the Boeing 377 Stratocruiser lower deck lounge circa 1947, left, and the new Boeing 747-100 Friend Ship upper deck lounge in 1970, right. The front page of Continental Airlines 1969 corporate report, showing a Boeing 747-100 flying over Waikiki Beach in Hawaii. A United Airlines Boeing 747 in an undated photo. A United AIrlines Boeing 747-400 sporting the Saul Bass livery, seen on an un-dated photo flight. A United AIr Lines Shield Magazine cover from August 1970, with a flight attendant standing in the engine. From July 1970, a United Airlines Shield Magazine cover introducing the Boeing 747. Black and white photograph depicting “before-and-after” images of United Airlines Boeing 747 in new paint livery scheme, maintenance center at San Francisco International Airport (SFO); aircraft registration number N4718U. A United Airlines Boeing 747 takes off from San Francisco International Airport in this circa 1998 photo. A profile view of a United Airlines Boeing 747 at San Francisco International Airport in September 1975. A lapel pin issued by United Airlines in the 1990s. A United Airlines Boeing 747 is seen in the background in this photo from 1970. This photograph shows an aerial view of United Airlines maintenance center at San Francisco International Airport. The facility played a crucial role for United's 747 fleet over the years. We asked readers to share their photos of the legendary Boeing 747. Here are some of our favorites. Pictured: United Airlines 747-400 over San Francisco Bay during Fleet Week Air Show 2012. 747 flying from the United States to Japan. Early morning arrival from IAD to FRA on 01DEC2013 on the LH 747-8i. A KLM 747 on final approach to Princess Juliana International Airport in St. Maarten. Flying over Greenland on Lufthansa's 747. Still the Queen of the Skies. E-4B Nightwatch - a specially modified Boeing 747-200B built to serve as a survivable airborne mobile command post. Caught this doing pattern work at Rick Husband International Airport in Amarillo, Texas, on March 12, 2013. This was the first day Continental Airlines flew the 747 from Houston to HNL in 1990. Retired Qantas 747 in Longreach Australia - taken by @rcorrao with a Nikon D70 May 9, 2005. A British Airways 747-400 on short final to Runway 26R at Vancouver International Airport (YVR). UPS 747 arriving from Louisville, Ky. The Pride of the UPS Freighter Fleet, this UPS 747-400 opens it's nose door to accept oversize cargo at Bangkok International Airport. The B-747 carried more than just people. The general rule was if it fit through the huge cargo door, it would be flown to anywhere in the world. I flew for Tigers for 12 years, and the 747 was and still is a great aircraft. We are currently on a short holiday in Germany and wanted to share these photos of the 747 we saw at the museum in Speyer, Germany. This is Endeavour's last flight out of Kennedy Space Center. It was mated to the 747 SCA to be carried to Los Angeles, its final destination at the museum. This NASA 747, registered N911NA, first used in 1991 to ferry the Endeavor from California to Florida. Seen here carrying the Discovery during a stopover in Amarillo, Texas, on 20 Sep 2009, following mission STS-128. En route to Amsterdam-Schiphol from Johannesburg, South Africa, we had a beautiful view of the Italian Alps aboard a KLM 747, June 2008.
iPhone shot taken in HKG of Cathay Pacific 747 bound for Bali. BA 747: I'm always amazed at how big they really are. Lufthansa 747-400 parked at Frankfurt (FRA) Terminal Z.
Lufthansa Airlines Flight 419 in a 747-8 departs from IAD to FRA. Taxiing in a Virgin Atlantic 747 on April 5, 2013. For several years, I have wanted to travel to photograph a 747 parked in front of the fountains at Detroit Metropolitan Wayne County Airport. To me, it seemed like this spot captured the joy of air travel. British airways 747's wing splitting the sun into two colors. Shot while taxing on a Braniff Airlines DC-8 62 from LAX to Columbus after the Rose Bowl in 1980. The 747-400 is the original jumbo jet. It has always had a place in my heart and it has place in the hearts of many of my fellow #AvGeeks. The 747 is the only plane with a head as big as mine! This was taken at the Lufthansa Technik Maintenance Facility at FRA. 747-400 Freighter At Los Angeles - August 2013. British Airways sunset landing at Houston IAH. EVA Air's last passenger Boeing 747 makes its penultimate landing in Hong Kong on Aug. 21, 2017, before taking its retirement flight. Passengers on EVA Air's last passenger Boeing 747-400 flight pose in front of a banner in the Hong Kong airport on Monday, Aug. 21, 2017. Passengers flying EVA Air's last passenger Boeing 747-400 flight talk before boarding in Hong Kong on Monday, Aug. 21, 2017. EVA Air's last passenger Boeing 747 awaits its final load of passengers in Hong Kong on Aug. 21, 2017. Aviation enthusiasts take photos of EVA Air's last Boeing 747 passenger jet in Hong Kong before the jet made its last flight to Taipei on Aug. 21, 2017. Flight attendants serving on EVA Air's last passenger Boeing 747 take photos of one another before departing Hong Kong for Taipei, Taiwan, on the carrier's final revenue 747 flight on Aug. 21, 2017. Fliers from EVA Air's last passenger Boeing 747-400 flight pose in front of a banner in Hong Kong Airport on Monday, August 21, 2017. A flight attendant fills out a log book for passenger Adam Yi aboard EVA Air's last passenger Boeing 747 flight on Monday, Aug. 21, 2017. A flight attendant arranges business-class menus aboard EVA Air's last Boeing 747 passenger flight on Monday, Aug. 21, 2017. Cleaners prepare EVA Air's last passenger Boeing 747-400 before its final flight on Monday, Aug. 21, 2017 in Hong Kong. Fliers line up dozens-deep on the upper deck for a chance to take photos from EVA Air's last Boeing 747 passenger jet before it left Hong Kong for Taipei, Taiwan, on Monday, Aug. 21, 2017. Flight attendants serving on EVA Air's last passenger Boeing 747 take photos of one another before departing Hong Kong for Taipei, Taiwan, on Aug. 21, 2017. EVA Air's last passenger Boeing 747, seen in Hong Kong before its final commercial flight on Monday, Aug. 21, 2017. EVA Air's last passenger Boeing 747, seen in Hong Kong from the nose before its final commercial flight on Monday, Aug. 21, 2017. A father takes a photo of his son aboard EVA Air's last passenger Boeing 747 flight on Aug. 21, 2017. Capt. Dale Gose and first officer Ali Shu run through pre-flight checks on EVA Air's last passenger Boeing 747 flight before leaving Hong Kong on Aug. 21, 2017. A meal on board EVA Air's last Boeing 747 passenger jet flight on Aug. 21, 2017. Passengers take photos of a EVA Boeing 747 model signed by crewmembers while on board the last EVA Air passenger Boeing 747 flight from Hong Kong to Taipei, Taiwan on Aug. 21, 2017. EVA Air's last passenger Boeing 747 makes it final flight on Aug. 21, 2017. It flew from Hong Kong to Taipei, Taiwan. Crew members serve meals on EVA Air's final passenger Boeing 747 flight from Hong Kong to Taipei, Taiwan, on Aug. 21, 2017. Passengers take photos out the window while on board EVA Air's last passenger Boeing 747 flight from Hong Kong to Taipei, Taiwan, on Aug. 21, 2017. Capt. Dale Gose signs tickets and memorabilia for passengers after EVA Air's last remaining passenger Boeing 747 jet completed its final flight on Aug. 21, 2017 in Taipei, Taiwan. Avgeeks (aviation enthusiasts) show off safety cards in Taipei, Taiwan, that they collected on EVA Air's last passenger Boeing 747 jet made its final flight on Aug. 21, 2017. EVA Air's final passenger Boeing 747 departs Hong Kong on its last revenue flight on Aug. 21, 2017. With a fresh coat of paint, the first Boeing 747 shines even under the cloudy Seattle skies at the Museum of Flight on Oct. 18, 2014. The 747s massive Pratt & Whitney JT9D turbofan engines sit idle on the wing of the jet at the Museum of Flight on Oct. 18, 2014. Newlyweds Heidi and Mal Muir take their first selfie as a married couple aboard the first Boeing 747 at the Museum of Flight on Oct. 18, 2014.. The couple exchanged vows in front of the plane's iconic staircase. The flight deck of the first Boeing 747 remains in almost the same exact condition as when it last flew in 1993. The upper deck lounge of the first Boeing 747 maintains a groovy, late-1960s charm. Covered in original markings detailing its first customers, the freshly repainted nose of the airplane makes a striking appearence at the Museum of Flight on Oct. 18, 2014. A visitor looks at an exhibit located in the rear of the first Boeing 747, on display at the Museum of Flight in Seattle on Oct. 18, 2014. A testing station sits in the mid-section of the airplane, much like it would have looked on its first flight in February 1969. David-George Dauphinee (right) of Seattle and Bill Blanchard (left) of Federal Way, Wash., take in the enormity of the first Boeing 747 at the Museum of Flight on Oct. 18, 2014. David-George Dauphinee of Seattle holds a United Airlines Boeing 747 Friend Ship brochure from 1969 while standing inside the very first Boeing 747, located at the Museum of Flight, on Oct. 18, 2014. An early Boeing 727 (left) and the first 737 (right) are seen through the windows inside the nose of the first 747. Visitors walk under the wing of the first Boeing 747 at the Museum of Flight on Oct. 18, 2014. A child climbs a set of air stairs to the door of the first Boeing 747 at the Museum of Flight on Oct. 18, 2014. Visitors walk through the interior of the first Boeing 747, which still carries its original test equipment. The photo is from Oct. 18, 2014, at Seattle's Museum of Flight. People queue for the opportunity to board the first Boeing 747 ever created at the Museum of Flight on. Seen here on Oct. 18, 2014, the historic aircraft is on display the jet it was the first time the jet has been opened to the public. Brien Wygle (right), pilot of the first 747 flight in 1969, signs a Boeing 747-8 model at an event at the Museum of Flight on Oct. 18, 2014. The airplane's designer, Joe Sutter (left), looks on. One of the last Boeing 747-200s, flying for Kalitta Air, taxis at Seattle-Tacoma International Airport on April 20, 2017. One of the last Boeing 747-200s, flying for Kalitta Air, lands at Seattle-Tacoma International Airport on April 20, 2017. The flight deck of one of the last airworthy Boeing 747-200s on April 20, 2017, in Seattle. The aircraft belonging to cargo carrier Kalitta Air is headed for retirement. The distinctive Pratt & Whitney JT9D engine, seen on one of the last airworthy Boeing 747-200s on April 20, 2017 in Seattle. Flight engineer Lance Pruitt looks at notes at his station on the flight deck of one of the last airworthy Boeing 747-200s, seen in Seattle on April 20, 2017. The aircraft belonging to cargo carrier Kalitta Air is headed for retirement. Flight engineer Lance Pruitt looks at notes at his station on the flight deck of one of the last airworthy Boeing 747-200s, seen in Seattle, Wash on April 20, 2017. Capt. Scott Jaykl begins to shut down the airplane, one of the last Boeing 747-200s, seen here in Seattle after a flight on April 20, 2017. The aircraft belonging to cargo carrier Kalitta Air is headed for retirement. The flight deck of one of the last airworthy Boeing 747-200s on April 20, 2017 in Seattle. The aircraft belonging to cargo carrier Kalitta Air is headed for retirement. One of the last Boeing 747-200s, flying for Kalitta Air, is seen at Seattle-Tacoma International Airport on April 20, 2017. The cargo deck of one of the last airworthy Boeing 747-200s, seen in Seattle on April 20, 2017. The distinctive Pratt & Whitney JT9D engine, seen on one of the last airworthy Boeing 747-200s on April 21, 2017 in Seattle. The aircraft belonging to cargo carrier Kalitta Air is headed for retirement. One of the last Boeing 747-200s, flying for Kalitta Air, prepares to land at Seattle-Tacoma International Airport on April 20, 2017. The cargo deck of one of the last airworthy Boeing 747-200s, seen in Seattle on April 20, 2017. The aircraft belonging to cargo carrier Kalitta Air is headed for retirement. Cargo is taken off of one of the last airworthy Boeing 747-200s, seen in Seattle on April 20, 2017. The aircraft belonging to cargo carrier Kalitta Air is headed for retirement. The distinctive Pratt & Whitney JT9D engine, seen on one of the last airworthy Boeing 747-200s on April 20, 2017 in Seattle. The aircraft belonging to cargo carrier Kalitta Air is headed for retirement. A United Airlines Boeing 747 takes off for Hong Kong from San Francisco International Airport on Oct. 23, 2016.